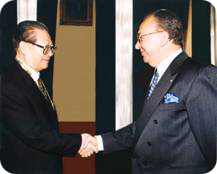 Mr. Christos Papatheodorou was introduced on April 20th, 2000 to the President of the People’s Republic of China Mr. Ziank Ze Min as the person who, in his capacity as the Managing Director of Chris Marine, opened the Chinese Shiprepair Market to Greek Shipowners by arranging the repairs of the first Greek vessel (MV Char M) in Guangzhou Dockyards (Wenchong) on November 1986. 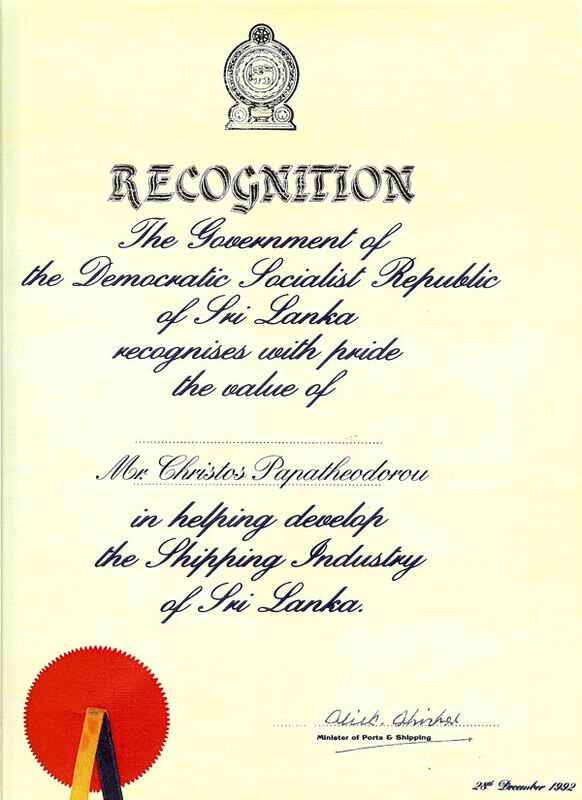 Mr. Christos Papatheodorou was appointed Governor’s Advisor of Sri Lanka, and as recognition of his enormous efforts in developing and promoting the Sri Lankan Shipping Industry worldwide, and on entering into a joint collaboration with “Onomichi Dockyard co. Ltd” of Japan, the Government of Sri Lanka bestowed to Mr. Papatheodorou the following award on the 28th December 1992. 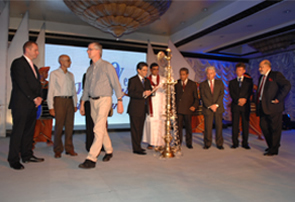 Mr C. Papatheodorou in Qingdao addressing officials at the inauguration of the new floating dock. 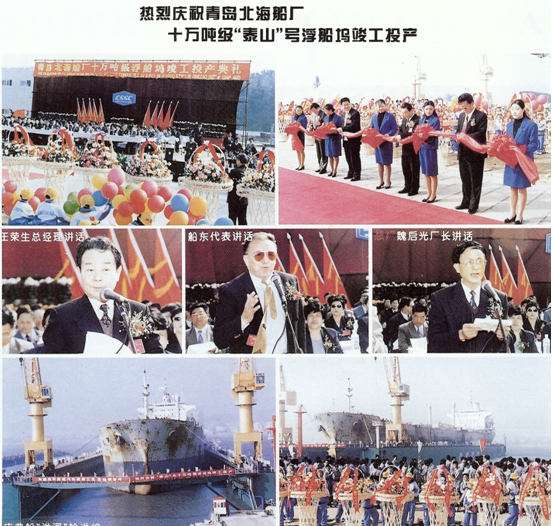 A page from the “China Shiprepair Magazine” revealing the inauguration of the new floating dock of Qingdao Beihai Shipyard. In the middle row from left to right: Mr. Wang, President of China State Shipbuilding Corp. Beijing, Mr. Christos Papatheodorou, Managing Director of Chris Marine SA and Mr. Wei Qiguang, President of Qingdao Beihai Shipyard, addressing the persons invited to the ceremony.